Bhageerath is an MBA graduate from University of Wales, UK. He is a passionate digital marketing trainer and a story writer. Google has prioritised its user higher than your site or brand. To keep it simple, Google wants to help the users visiting your site with useful and relevant information and to make that happen Google uses many metrics to rank your site high and put it infront of the user ultimately. The below image gives us an idea of what a user does when he/she tries to visit a site and how they respond to loading time of a website’s page. There isn’t much difference between the domain of 6 months and the domain of a year old. They do use domain age but ranking is not totally depended on this factor or in other words we can say, this is not very important a factor. Having a keyword at domain level used to be a major booster but now it may seem a little bit pushy and yet it could be a good thing to use though. This could sum up to or even act as a relevancy signal. If the target keyword happens to be the first word of domain then this particular keyword supplies you enough fire power than those domains that have no keyword or a keyword in between. Your domain will have edge over others for sure. If you are certain that you are the first person to own the domain, then there is no problem but if someone sold it you or bought it and you are the new owner, then you might have to deal with the past history of the domain. There could be positive and negative attributes to it but negative does more damage if it were penalized in the past. EMD (Exact Match Domain) or the domain name that matches keyword exactly is called as EMD. You could be in top rankings without much help of Backlinks or any other SEO help but the Google EMD update makes it literally useless if it has low quality. All said and done it still gives a slight edge with relevancy and high quality of site. Having the country code Top Level Domain extension like (.in, .ca, .uk) etc., helps ranking in that particular country location but on the other hand it also limits the site’s ability to rank or appear globally. If Google penalized you at some point of time due to the quality or spam issues then there is a high chance of you getting penalized for the other sites owned by you. Title tag always plays a role in your search results ranking although not very important but it has something to contribute as an important on page SEO signal. If at all you have a keyword at the end of the title tag then you have been wasting the opportunity for no reason. Always remember to have a target keyword in title tag and it should be the first word of your title tag as this can prove to be crucial for better performance. Even though Google depends less on Meta description tags for ranking, it could still be of some use if your description tag impacts the click through rate for your site because this is a factor for ranking. H1 tags actually act as the secondary title tag. Google uses H1 tag along with the title tag for the relevancy purpose. Never miss a chance to have target keyword in your H1 Tag. TF – IDF (Term Frequency–Inverse Document Frequency) in other words, if a word appears too often it simply means that the document or page is all about that word. Using a word too often to rank can lead to black hat SEO and could be a reason to penalizing which indirectly affects the ranking. Having more words in content can help you deal better with the information that you wish to present to a user. More words can cover the wider area of the topic you want to talk about. This can contribute to ranking as Google prefers more content that is relevant and not superficial, shorter articles. Google can understand your content better if you have a linked table of contents which can also result in site links. Even though it is a minor factor it is still important to place your keyword where required and remember to not go overboard while using it as this process may hurt you just like TF-IDF. LSI keywords can help Google or any other search engines understand and find out the real sense from words that have multiple definitions or meaning. This can act as a relevancy signal if the LSI keywords in Title and Description Tags help Google recognise those words with more than one meaning. Web pages with more useful information are preferred over the pages with less content. If a page covers all the requisite information it will have an edge over those pages with partial information. Hence cover the topic in depth from all possible corners. Always write original content, even if it is a product of your excessive research it should look original. Make use of content and try to keep it simple by eliminating any similar content on other pages of your website. Having duplicate content can bring down your ranking. Always use a canonical tag (Rel=Canonical) as it prevents Google from assuming your content to be duplicate. There is a chance that you have two URLs for same or similar content and this could be duplicate in terms of Google, to make it simple add a canonical tag and by doing so you are clearly stating to Google that One URL is equal to the other. So with two pages of same content are actually one and the same. Image can act as a ranking factor if it has relevancy to what people are searching for. When we add alt text, caption and description to image it completely transforms in to a different thing altogether. When we make best use of all these small tools our optimization process is always a step ahead of others. We understood that text plays a role but media like images can contribute too. There is no formula to how frequently we have to update our blog but then, it is a good thought to bring in new updates every 12 months because, Google prefers freshly included content. Search engine spiders can calculate your site speed almost perfectly based on the page’s HTML code. Page loading speed is considered to be a ranking factor. 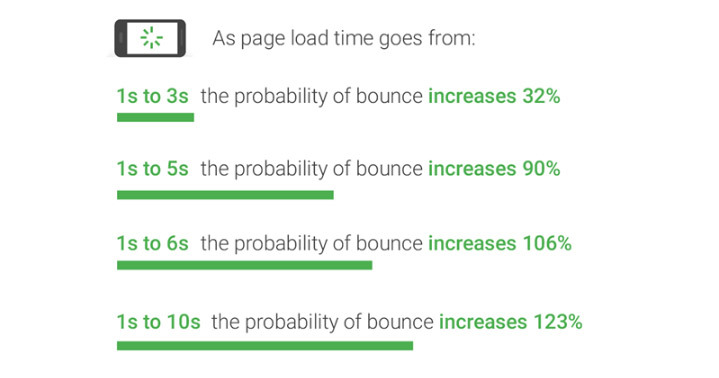 There is a chance that Google can also use the Chrome user data to estimate page’s loading time. Here they will estimate how quickly a page loads to user. For instance you are searching for one particular thing and a page shows up in results which actually match with what exactly you have searched for. Then, consider this page to improve its ranking further as it was relevant and useful to user. So if a page matches with the user’s search it is called as entity match and it helps in ranking. If you have a targeted keyword in the beginning of your content more precisely in the first hundred words of your page, it directly correlates to Google’s first page ranking. If you can include a keyword as subheading in H2 or H3 format it may be contribute to being another relevancy signal however, it is not the ultimate thing. These heading tags in HTML are useful in understanding the page’s structure. Websites that can be used are that are easy to use on mobile have an edge in Google’s mobile-first index. The number of domains that link to your site act as ranking factor that is why number of linking domains could be crucial for ranking. To have bulk links from one domain may not be as good as having individual links from different domains. Too many do follow outbound links will leak page rank and can be a cause for lower ranking. The number of internal links to a particular page indirectly relates its importance that it has over other pages. When you get internal links from authoritative pages you have better chances of ranking well as it has a stronger effect. Only a site abandoned or completely neglected has broken links. If your site has more broken links consider tuning it right away as this could be one of the ways Google uses to assess your site for ranking. Here’s a list of Back Links that could act against or contribute towards your overall ranking. Provide value to the visitors with unique insights. Google will penalize sites that don’t offer any value. Put up appropriate information to contact you from the site. Make sure to match your who is info to contact details to get an added advantage. Trust-Rank is one of the most important ranking factor or that is what SEO’s nowadays believe. Help Google organize your content by using a simple to understand site architecture. This you are helping yourself by letting the Google-bots do their job in indexing your site pages. Bring in a freshness factor by updating your site regularly although this may not be the factor as a whole yet it does its bit. It is easy to index pages of your site for search engines. Visibility is dramatically improved by having a sitemap. Always check your site maintenance and server issues as it may cause delays in indexing and likewise drop your rankings too. When we have a geo-specific search it can influence our ranking and that is why our server location is important factor of ranking. With SSL Certificate we will be identified as trustworthy member and Google will consider this fact to rank us well. It is recommended never to have duplicate Meta description anywhere on your site as it may pull down your page visibility and ultimately your rankings as well. Your site’s reputation matters a lot. Nobody likes to visit a site with bad reviews over it. And too many bad reviews may reflect in bounce rate and this helps Google understand your site better and it then under rates you by ranking you as low as possible. This is Google’s AI algorithm and it is believed to measure the interaction of users with displayed search results. Every new page gets boosted for certain queries and a fresh query can influence your ranking. When you frequently visit a site it might get SERP boost for all your searches. According to one of the SEM-Rush studies, Google prefers Featured Snippets content based on a combination of page authority, formatting, and HTTPs usage, content length etc. This can look simple yet a very strong signal for ranking. Any website with low quality content gets penalized by the panda update. Whether by choice or by accident if you happen to link out to a bad neighbour can hurt you visibility. If you do not want to be penalized for this please avoid any sneaky redirects. This is very much a sign of low quality site and its officially rated low. Too much can be too bad sometimes in case of keyword stuffing, excessive decoration or even a header tag stuffing. Avoid influx of links as this may confirm Google that you are doing something fishy to boost your rank. Using Disavow Tool can help remove a manual or algorithmic penalty for sites that were the victims of negative SEO practices. Even though Google does not openly state what all factors it uses to rank our site however, it mentions or leaves us clues through the Google Algorithm Updates every now and then. I have tried to include all the search engine optimization factors that might influence your page or site rank depending on what ways you use. Definitely there are many more factors that I might have missed. It would be a great interaction if you can comment below the ones you felt where new to you and try to add those I have missed. If you want to learn the process of search engine optimization (SEO), please check our Certificate Course in Digital Marketing Page.